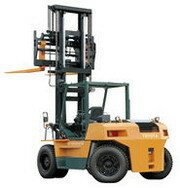 Thailand Material Handling Companies produce and distribute almost every type of material handling systems imaginable. 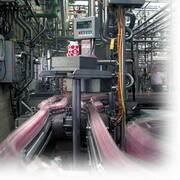 Thailand factories need anything from a simple conveyor belt to a fully automated robotic production line. Other items like fork lifts and internal trucking systems ensure that the raw materials and finished products are able to reach the right point at the right time. These systems were once primarily imported from Europe, The States and especially Japan. Nowadays Thailand has the capability to produce much of this equipment itself and indeed is now exporting to the countries who were once it's major suppliers. 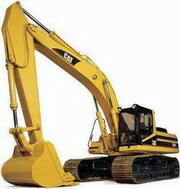 There is still however a market for imported equipment, especially specialized machinery for the strongly growing automotive and auto parts industries. Bangkok Companies is a full service product sourcing company in Thailand. 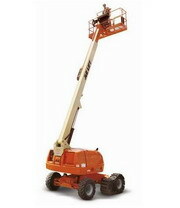 For All your material handling equipment needs please email bangkokcompanies@gmail.com with your requests. City Steel PCL. Public Co., Ltd Thailand Thai manufacturer and exporter of Industrial Machinery and Equipment, Automotive parts, Automotive Accessories, Storage System and Material Handling Equipment. Fame Tech Co., Ltd. Thailand Australian Manufacturer of Dock Levelers, Scissor Lift Tables, Tailgate Loaders, Tankers, Pinions Gear, Worm Gears and Worm Plates.